"The Hows of Us" ---the love story that stirred the hearts of Filipinos brings joy to SKY homes this summer as the country's highest grossing film, plays on SKYcable Pay-Per-View this April. College sweethearts Primo (Daniel) and George (Kathryn) vowed to stick together through thick and thin but are challenged when life suddenly gets in the way: Primo gets depressed for not getting the job he wanted while George feels the strain of mixing work and school. The movie was given the Golden Jury award while Kathryn and Daniel were recognized as “Phenomenal Stars of Philippine Cinema” by the 50th Guillermo Mendoza Awards. Catch this blockbuster film alongside "Always Be My Maybe," "Every Room Is A Planet," and "Nay" for only P99 for a 7-day access until May 8, 2019. Aside from "The Hows Of Us," viewers can also watch 50th Guillermo Mendoza Film Actress of the Year, Kim Chiu in her 2018 MMFF film "One Great Love." Kim plays Zyra, a woman stuck between trying to fix her relationship with her boyfriend Carl (JC De Vera) or end it. She gets more torn when she meets Ian Arcano (Dennis Trillo). The film received recognitions as Best Musical Score and Third Best Picture and 3rd Best Picture in the 2018 MMFF Awards. 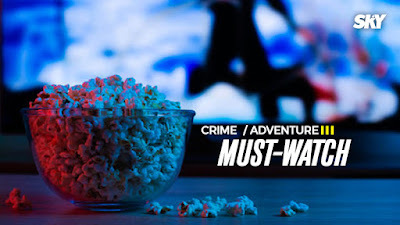 Heart-stopping shows from FOX’s premium channels FOX Action Movies, FOX Crime, FOX News, and Nat Geo People can now be a part of SKYcable subscribers’ viewing staples via SKY Select, the cable brand’s a la carte channel service. Are you fond of watching Bollywood movies? You might want to check out these 5 Bollywood movies that will give you the feels from SKY as it brings a new channel that’s filled with vibrant and grandiose costumes, colorful cinematography, and gorgeous production numbers. Watch ZEE Sine, the 24/7 Tagalized Bollywood movie channel which is a breather from traditional movie storytelling. The following are Bollywood cinematic gems that will pull your heart strings and even bring a smile to your face. A young man idolizes Michael Jackson and is intent on forging a successful dancing career leading to adventures along the way. Be sure to catch this dance film on “Pinoy Bollywood Box Office” (PBBO), November 17 at 9pm. King of Bollywood Sharukh Khan stars as a man who builds an empire in the state of Gujarat. Follow his rise in society as well as his relationships, making him the single most powerful man in the state in this action film on “SunDate with Shah Rukh Khan,” November 11 at 6pm. Rahul, an orphaned bachelor, embarks on a journey to a small town in Tamil Nadu to fulfill the last wish of his grandfather to have his ashes immersed in the holy waters of Rameshwaram. He meets a South Indian girl (Deepika Padukone) the daughter of a local don and they find love through this journey in the exuberant land of South India. What follows is a series of adventures where Rahul finds himself in strange situations, challenged with an unfamiliar language! Watch this action-packed romantic journey also starring the Bollywood legend on “SunDate with Shah Rukh Khan,” November 25 at 6pm. Win exclusive program merchandise when you subscribe via SKY animation series on ANIMAX and MIAO MI. On Miao Mi, toddlers get to learn spoken and written Mandarin in the show “Write with Miao Mi.” This interactive animation show teaches children how to write simple Chinese characters to form words such as "run", "play" and more in fun and creative ways. In “Miao Mi Classroom” Mandarin is introduced to children in a fun and interactive way using flash cards, animation, music videos, and songs. Summertime is ideal for glamorous beach parties, too exercising, vacations, beaches, swimming, outside sports as well as camping (within an RV!). Along the way from hidden to lighter clothes and sandals, you might want to learn to lighten hair extensions too! Great news for individuals who're already planning their big summer time plans, or who've already arrived at love extensions: thin invisible extensions are possible this summer time. What will you provide for your summer time hair? 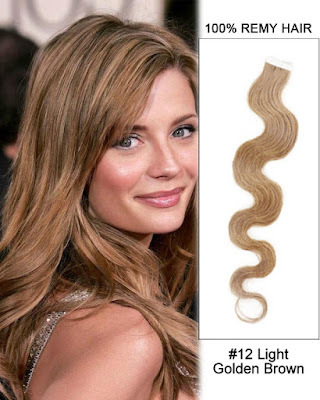 Should you already use extensions, you've experienced the astonishing difference these luxurious extensions make for your appearance as well as your self-confidence. However, additionally you may see extensions as high maintenance best saved for special events and occasions when you're willing to visit your stylist regularly for reinstalls and styling.